Most people know bottles and cans can be recycled, but did you know that many other items have value in Santa Ana as well? Check out our Products page for a complete list of items that can and cannot be recycled. At OC Recycling we recycle more types of items than any other recycler, including bottles, cans, computers, electronics, ewaste, TV’s, cardboard, paper, metals, copper, aluminum, appliances and many others. We have the OC Recycling Best Price Guarantee ! We will match or beat any price from any local competitor in Santa Ana, Orange County and surroundings… We will not be beat! 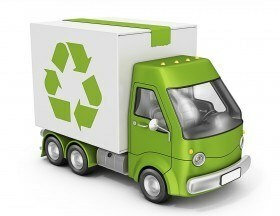 Why drive around and recycle metal one place, copper another, and ewaste at another. What is your time worth? You can save time and money, bring it all here. Clean, friendly and uniformed staff will treat you with respect and answer all your questions. Whether you are new to recycling, or a 30 year veteran, we will treat your right! Do you need help unloading? Just ask! Do you have heavy items that need to be unloaded by forklift? Just Ask! Would you like a large bin placed next to your vehicle for unloading? Just Ask! Do you want a better price? Just ask! Do you have a question about how to get the most money for your material? Just Ask! Do you have a problem? We provide easy access to managers to help resolve them, Just Ask! Are you intimidated by large “Junk Yards”? This place was made for you! You can sort your materials at our facility, saves you time and mess at home. Check our catalog of Recyclable Products HERE!